Fill out the form to get the Part 1 edition and get insight into the current state of the WAN, the status of SD-WAN adoption, and the state of the branch office. Technical debt, manual network changes, network silo-ism and more — the worst practices in networking undermine the agility and increase the costs of today’s wide area networks (WANs). 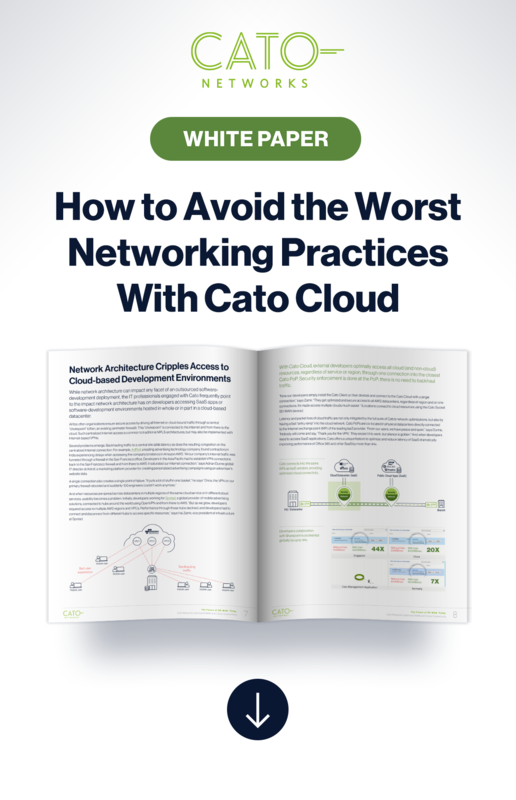 Cato fixes these “worst” practices by converging security into a global, affordable, SLA-backed backbone.